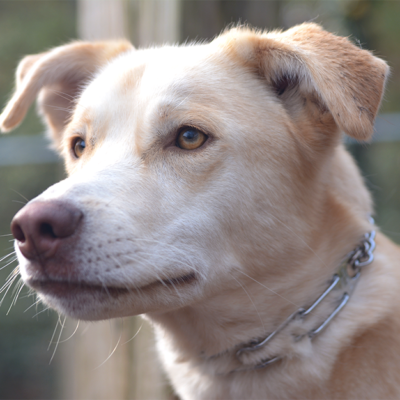 The martingale-style limited cinch collar is considered one of the safest and most efficient ways to train your dog. 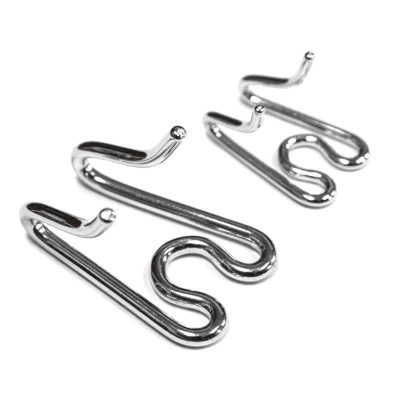 Designed to tighten under tension just enough to provide gentle but effective feedback to correct unwanted behavior. Made of durable, weatherproof nylon with a quick-release snap and an adjustable buckle; also includes a regular D-ring for use as a standard non-cinch collar. Do not leave this or any other training collar on dog unsupervised. This is not an everyday collar and is only intended for training purposes. 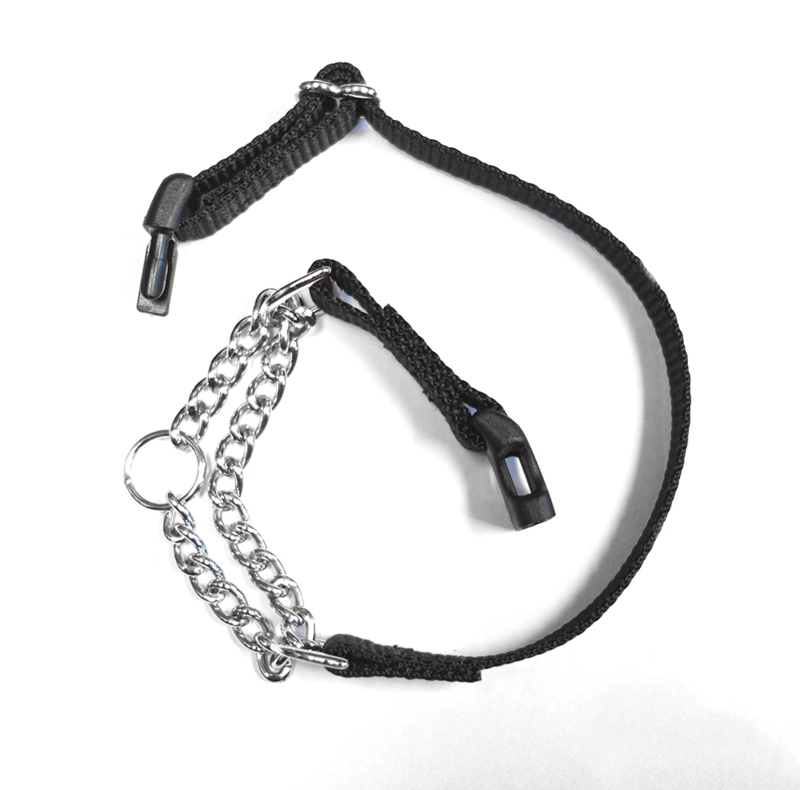 Teach your precious pup to walk comfortably on a leash with our martingale dog training collar. 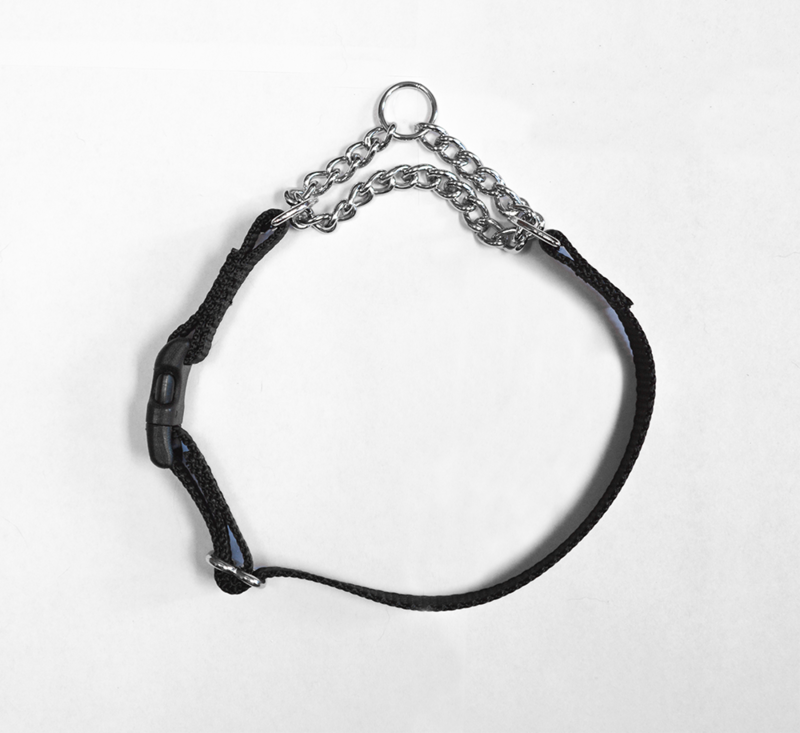 The martingale-style limited cinch collar has been recommended by thousands of dog trainers around the world and is considered one of the safest and most efficient ways to train your dog. It’s designed to tighten under tension just enough to provide gentle but effective feedback to correct unwanted behavior. 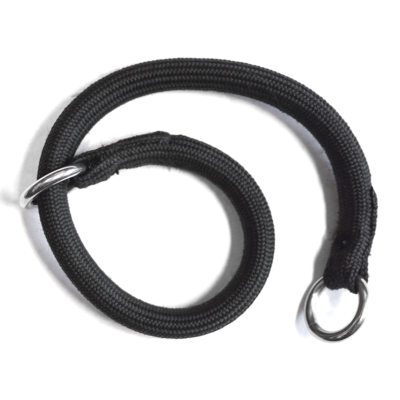 Made of durable, weatherproof nylon with a quick-release snap and an adjustable buckle to achieve an ideal fit, this high-quality collar also includes a standard leash D-ring for use as a standard collar. Don’t Let Your Pup Have These Holiday Treats! Copyright © 2018 | Dog Psychology 101 | All rights reserved.